Book your car in for an annual MOT in Milton Keynes with Unit18 Automotive. MOT tests are available weekly for any UK registered vehicle at competitive fixed prices. An MOT test or Ministry of Transport test is completed annually by a registered MOT test centre in Milton Keynes to assess the safety and road worthiness of a vehicle. 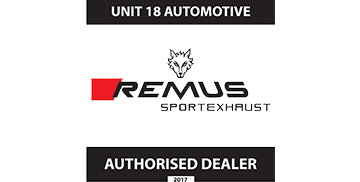 Here at Unit18 Automotive, we have experienced vehicle technicians available to provide you with a fixed priced MOT in Milton Keynes. What Is Tested on an MOT? During your MOT test, we will assess the general safety of your vehicle to make sure that it meets the high pass standards. We will also assess the vehicles exhaust emissions. A standard MOT check here in Milton Keynes will cover the following on all cars. Note: The condition of the engine, clutch and gearbox are not tested or assessed in an MOT in Milton Keynes. On completion of a successful MOT, our test centre will provide a full pass certificate. If for any reason your vehicle does not pass its annual MOT test, we will provide you with a breakdown of any repairs/works that are required to get your vehicle back on the road. Full assessment of the vehicles body and general structure for maximum safety. We test the emissions produced by the vehicle and make sure it meets test standards. Fixed price annual MOT checks completed by experienced MOT technicians. "I took my little VW Polo to Unit18 for an MOT and full service. Sometimes you dread getting an MOT but on this occasion everything was safe and sound. I really felt like they took my car seriously. I will certainly be using them again."